Yay, I've got some more exciting US/NZ Skramz for you! This is the split tape between Milwaukee (USA's) Snag and Dunedin (NZ's) Swallows Next. It was release earlier this year by the ever faithful and reliable Zegema Beach Records. 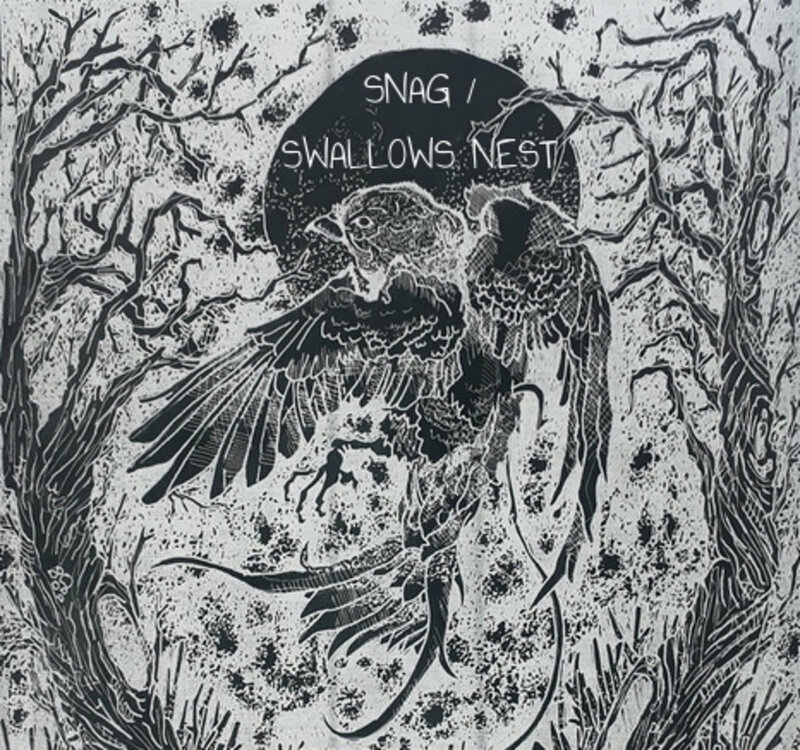 Snag has so far released a self-titled EP and a split with Social Caterpillar, while the only other release to come from Swallows Nest (as far as I can tell) has been their split with Crowning (also review on the blog). This split only features one song from Snag but Violence is a joy to listen too. It’s a (pardon me) violent screamo song filled with jangly, off-kilter instrumentation and a mix of harsh screams and what I think are spoken-work samples (though they could be delivered by the band themselves). It’s stark and emotive, especially during the mid-section and that atmosphere carries on throughout the rest of the song. 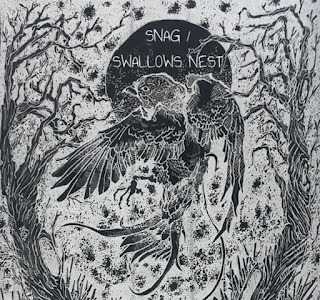 Swallows Nest follow on with two shorter songs; Dark Hamz is brooding and slightly bleak, but when the dual-vocals and orchestral guitar-work takes over that atmosphere is somewhat forgotten. There’s real urgency here as you’d expect. Apathy As An Infinite Manifestation starts how Dark Hamz finished and it’s immediacy is obvious, while the band’s delivery is pummelling. Three brief songs that give great accounts of both bands. You could do far worse than check out both Snag and Swallows Nest, starting here.